Bel Kaufman, teacher and author of the 1965 bestseller Up the Down Staircase, passed away on Friday, July 25, at her Manhattan home. She was 103. Her daughter Thea Goldstine declined to disclose the cause of death. As Matt Schudel writes in the Washington Post, Bella Kaufman was born in 1911 in Berlin, and grew up in Odessa (modern-day Ukraine). It wasn't until she moved to New York City in 1923 that she began to learn English. 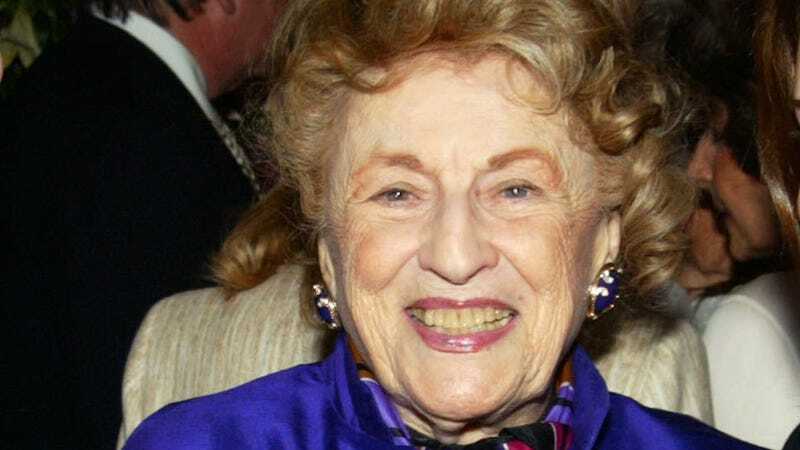 She was a Phi Beta Kappa graduate of New York's Hunter College in 1934 and received a master's degree in English from Columbia University in 1936. She began to write short stories for Esquire magazine in the 1940s, shortening her name to Bel to disguise the fact that she was a woman. After being turned away from New York's teaching examination several times due to her Russian accent, she was eventually "accepted as an English teacher." …For all the obstacles and annoyances that she faced, Ms. Kaufman always remained a teacher at heart. Being in the classroom, she wrote in "Up the Down Staircase," offered one abiding consolation: "To make a permanent difference to at least one child."